The fourth of July is coming up soon, so it’s time to show off the red, white and blue! 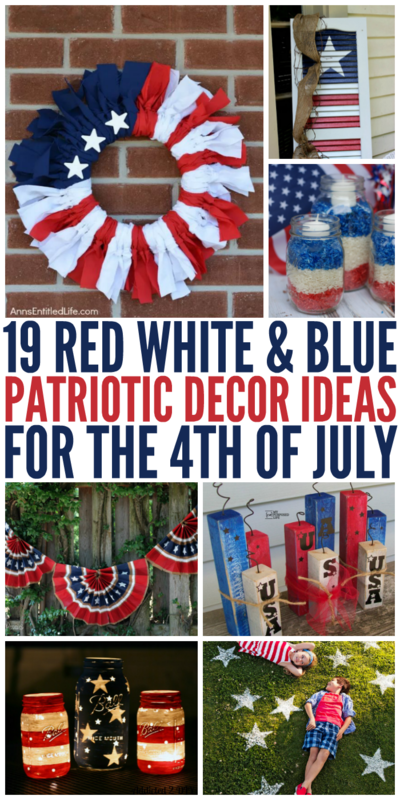 Here are 19 gorgeous (and easy) DIY patriotic decor ideas to demonstrate your American pride. 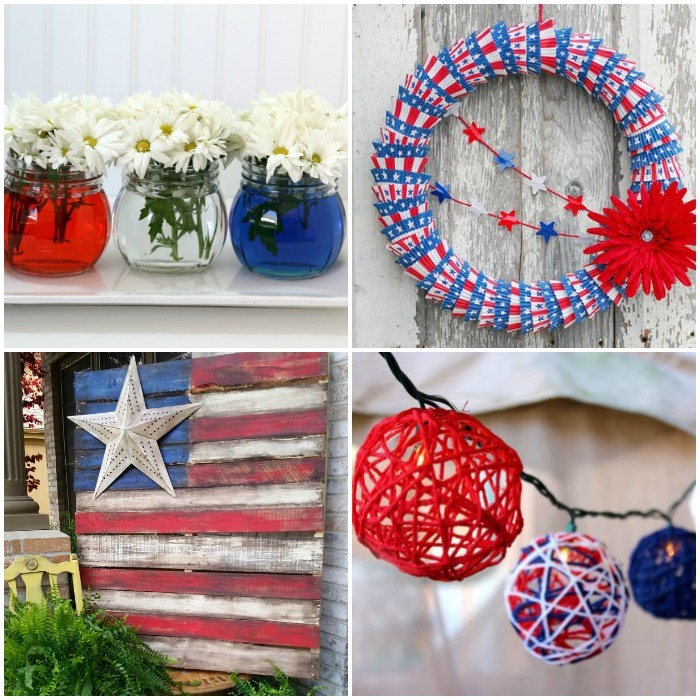 From pretty wreaths to luminaries and yard decor, you’ll find loads of totally doable, totally awesome ideas here. 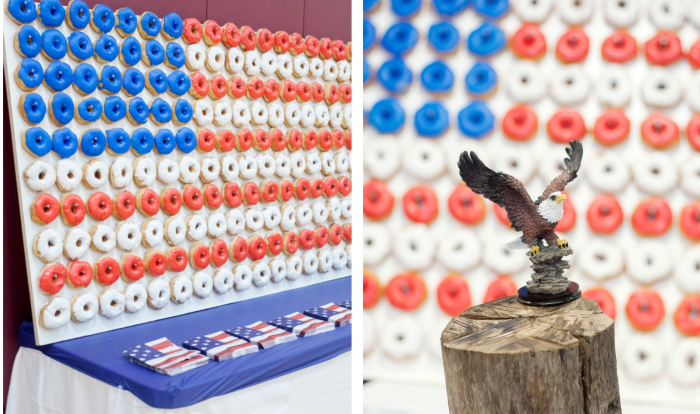 What a FUN idea for a photo-backdrop… an edible flag!! Made entirely of donuts! This is such a fun idea from a Boy Scout Troop Mom, head over to Capturing Duke for full instructions! 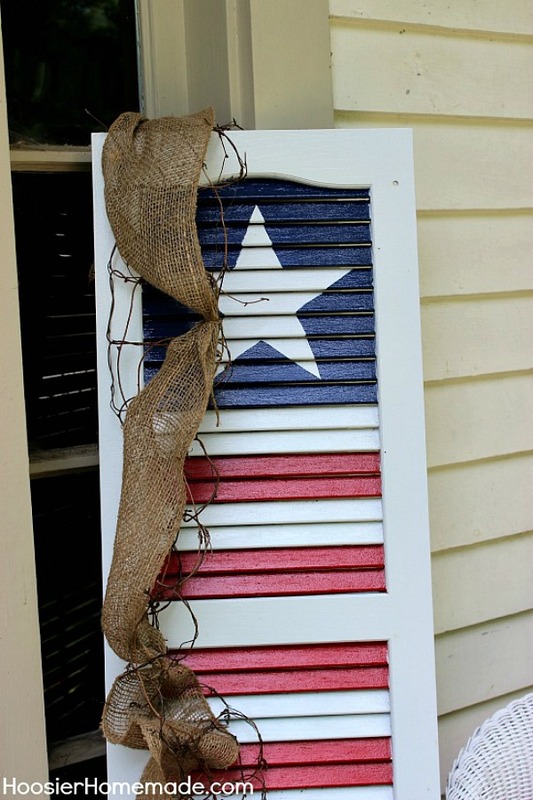 Paint an old shutter to create a patriotic outdoor display that would make Uncle Sam proud. 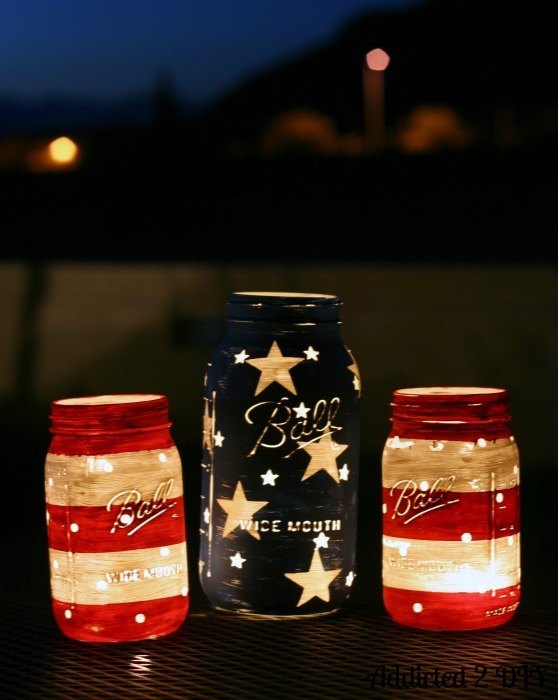 These patriotic mason jar lanterns are the perfect tabletop centerpiece as you watch fireworks at night. Gorgeous! 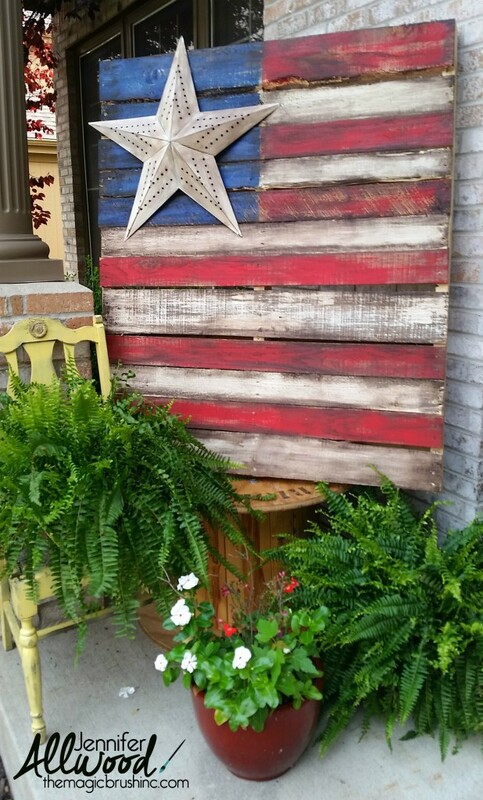 Make a big patriotic display with a rustic pallet flag. 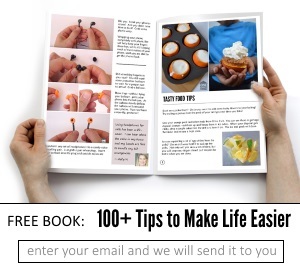 This crafty blogger has three different versions that you’ll love! 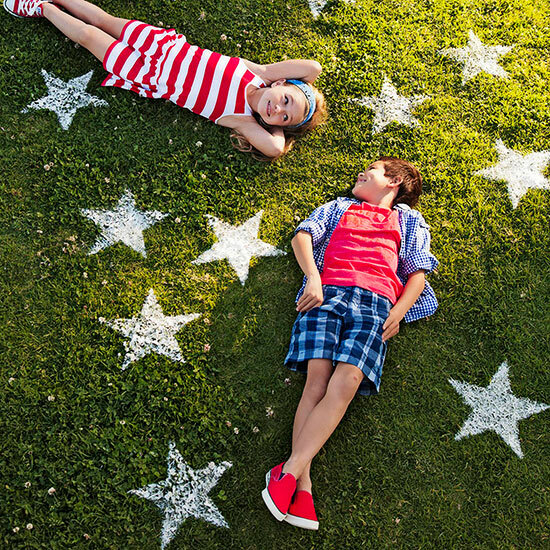 Use flour or environmentally-friendly paint to put stars on your yard near the entrance to your home. It’ll look beautiful, and as you can see, it’s a great photo backdrop for the kids! 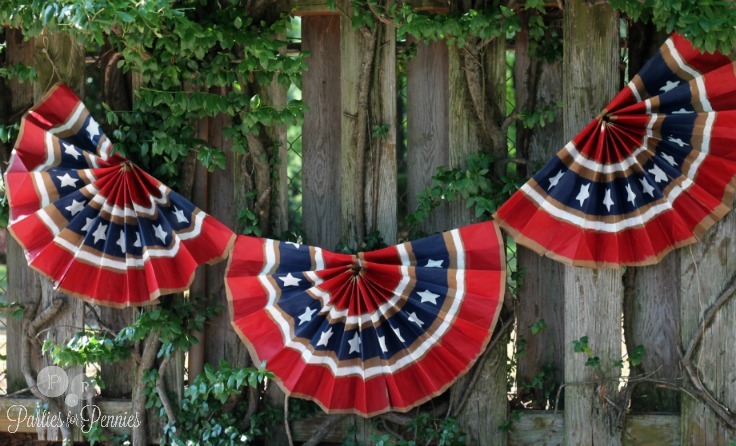 Painted paper bags are used to make this 4th of July bunting. Isn’t that impressive? 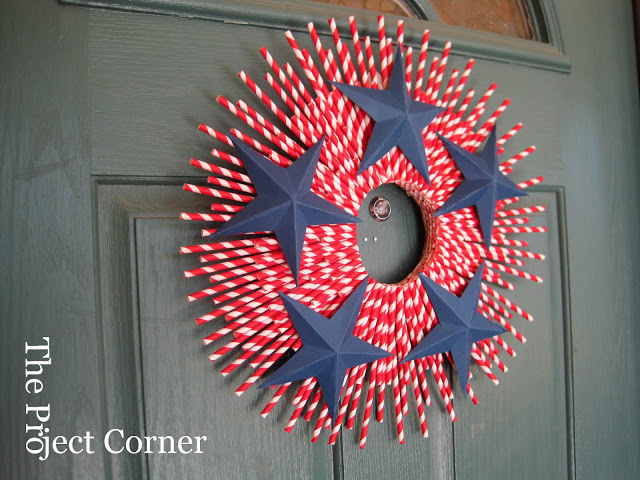 A patriotic wreath made from cupcake liners is super easy to make and adds a big punch of color to your door for patriotic holidays. 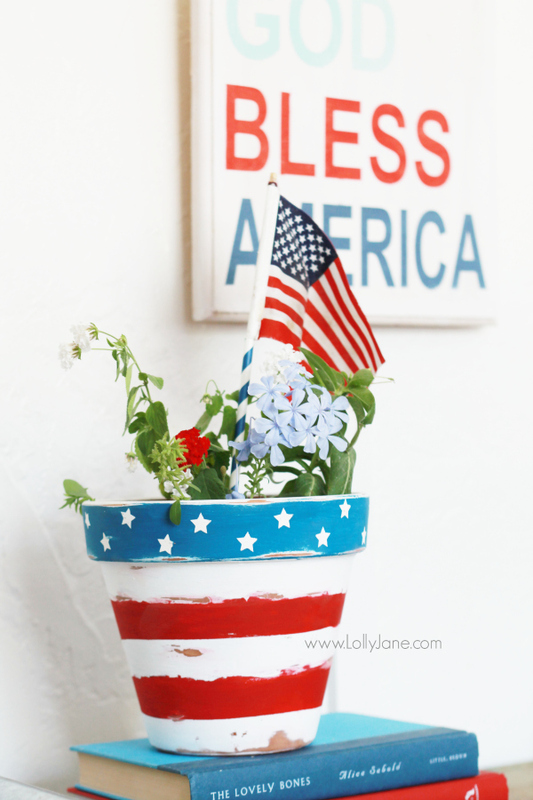 How about a star-spangled flower pot to adorn a shelf? Or paint a huge one to place beside the door year-round. 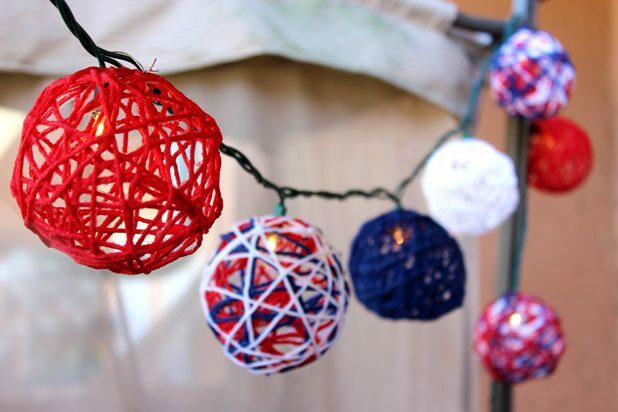 These patriotic string lights will wow at your Independence Day get-together! 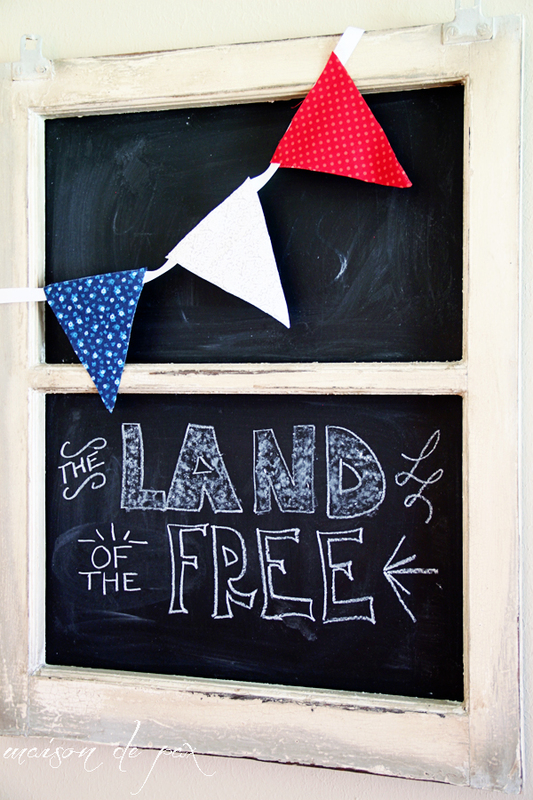 Create a patriotic chalkboard piece with a simple red, white and blue bunting. 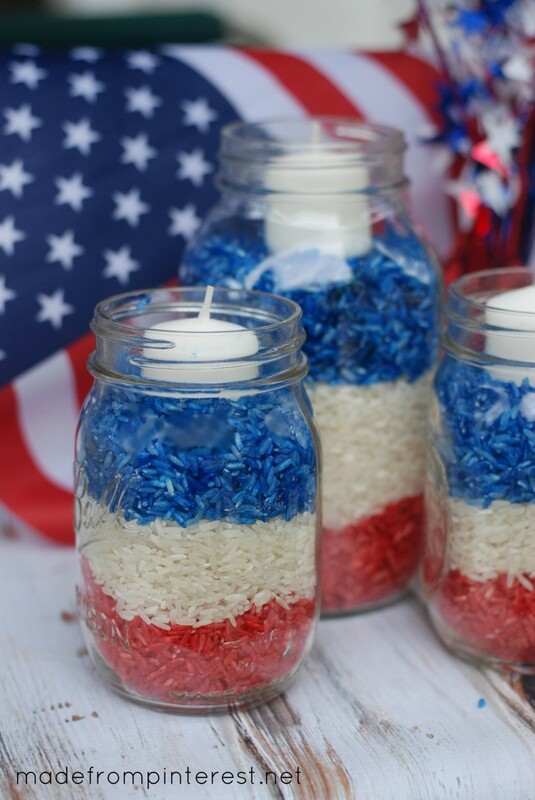 Here’s another gorgeous patriotic mason jar idea… Fill them with colored rice, and put a tealight candle on top. 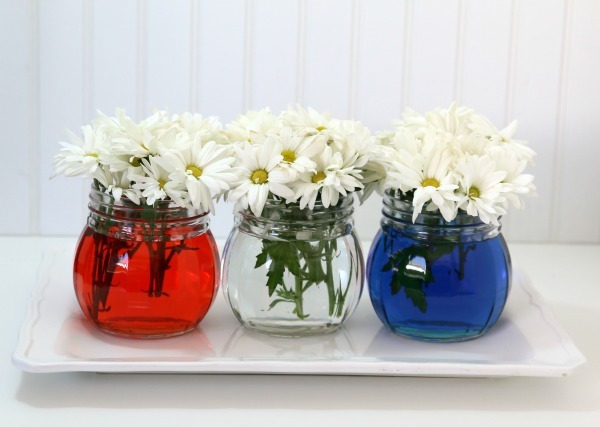 Clear vases filled with daisies and colored water add a feminine touch to the patriotic table decor. 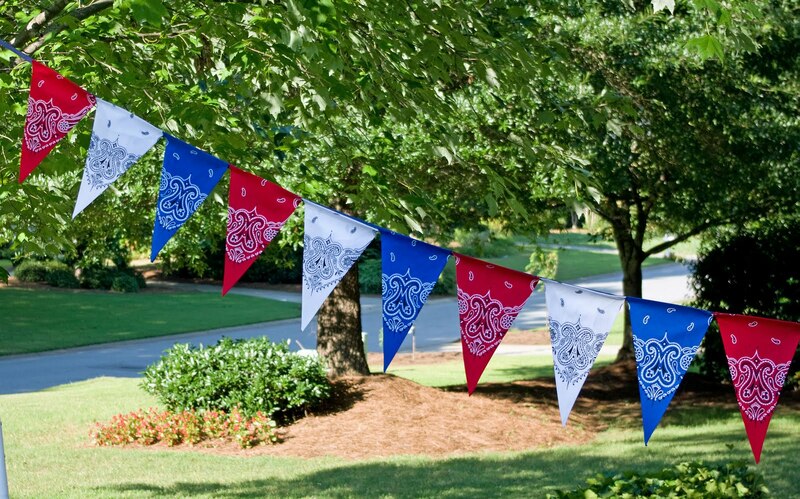 Turn bandannas into a gorgeous outdoor bunting that you can use for all of the patriotic holidays each year. Make diy patriotic fireworks with wood scraps or wooden blocks. These fireworks will last for years to come! 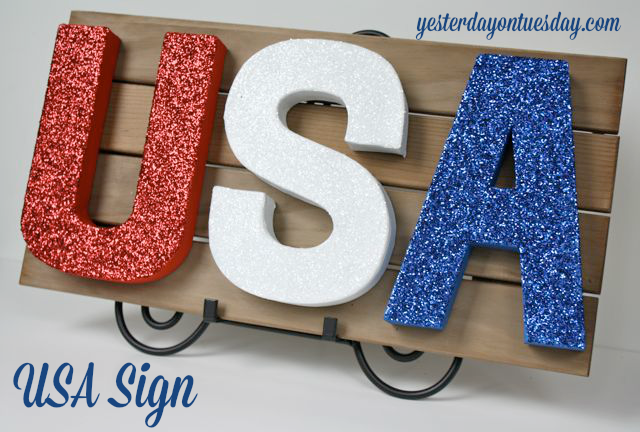 Create a glittery USA sign to add some sparkle to your patriotic decor. 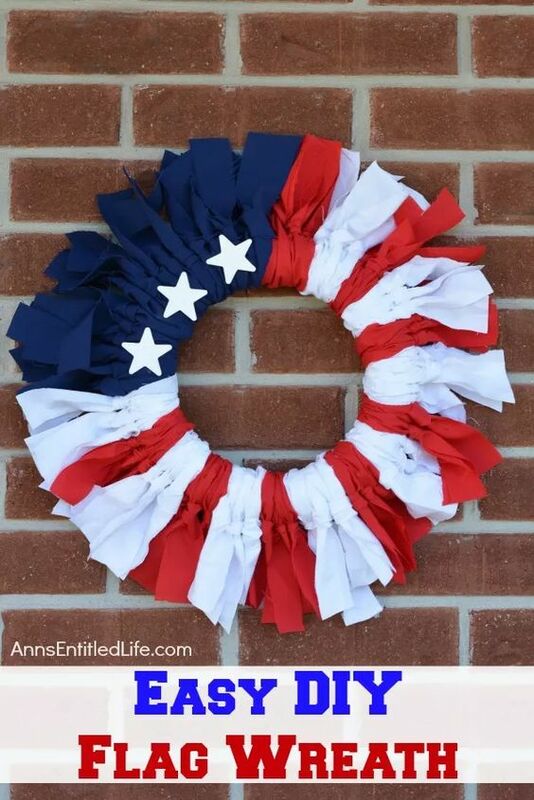 Make a patriotic rag wreath out of scrap fabric you have lying around. Although this is gorgeous with fabric in solid colors, patterned fabrics in red, white and blue would be just as lovely. 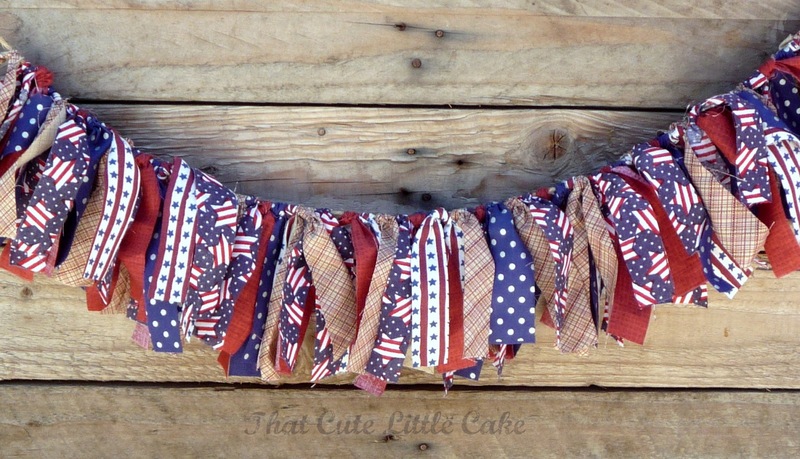 You’ll see what I mean when you take a look at this patriotic scrap fabric banner. The patterns just add to the visual interest! 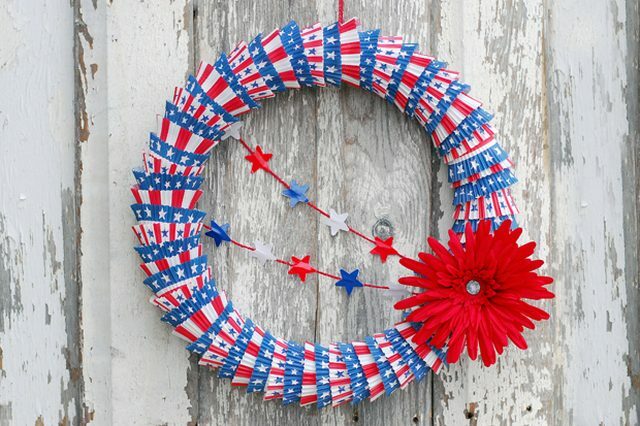 We can hardly believe that this gorgeous patriotic wreath is made from paper straws! 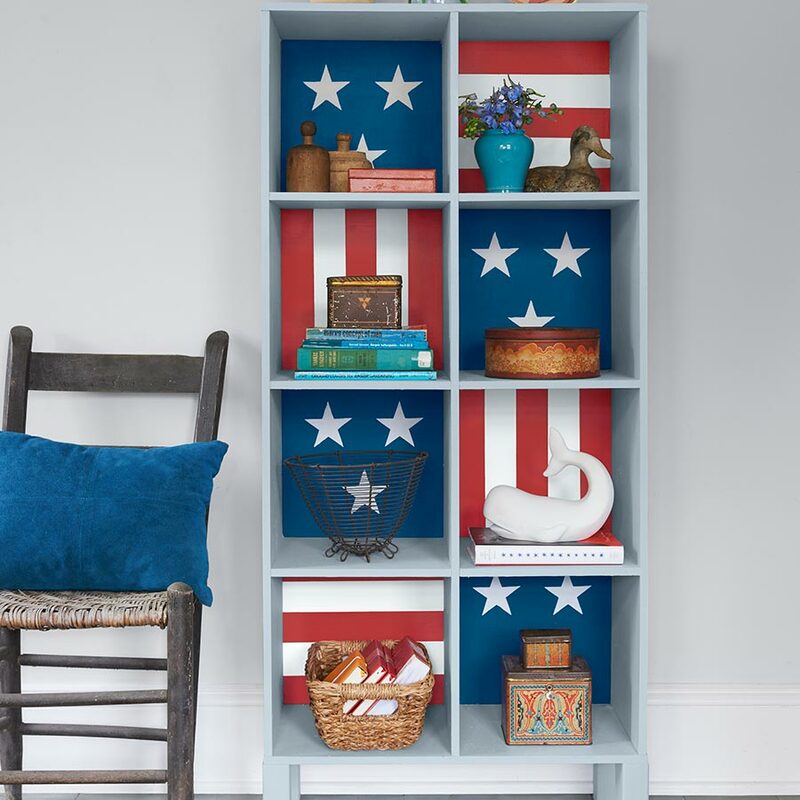 Show your patriotism all year long with this star-spangled cubby shelf. Use paint chips to make this whimsical (and frugal!) 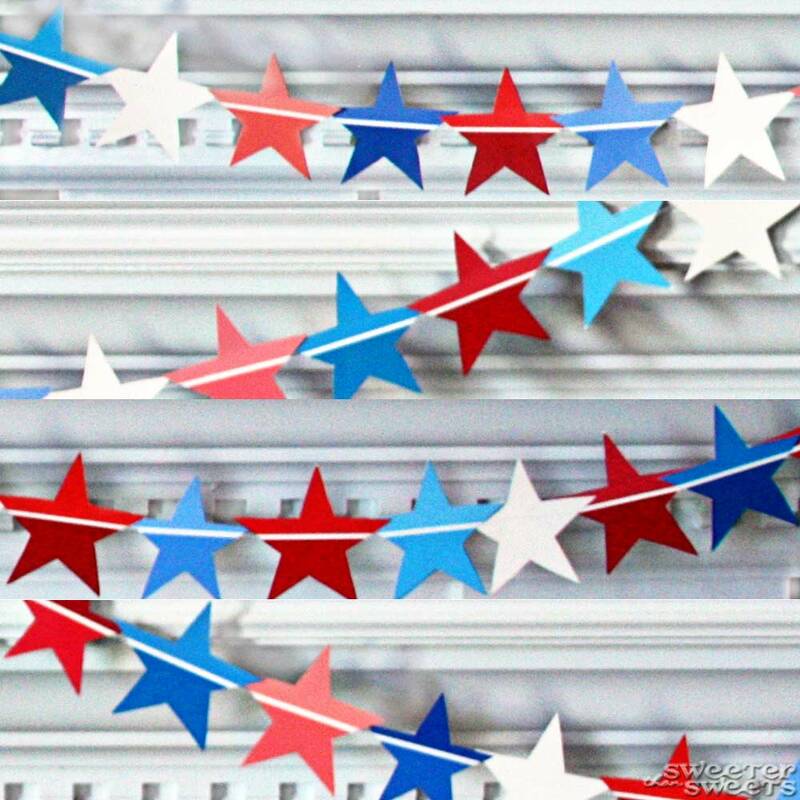 patriotic star banner.